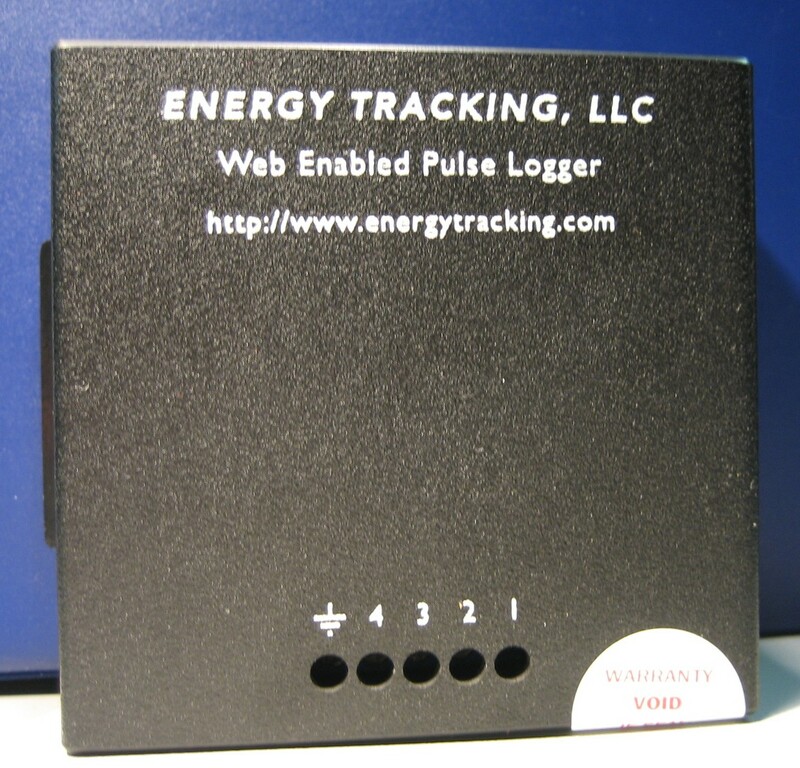 Energy Tracking’s Web Enabled Pulse Logger (WEPM) meets the need for a low cost device for submetering to record pulses from Utility gas / electric meters as well as pulses from flow meters such as steam, oil, water, propane, etc. The WEPM is a versatile 4-channel pulse data logger with load profile functionality and Ethernet communications. Consumption data are easily acquired in real-time via email, ftp, Web Service client or via direct access to its internal web server. View Load Profile data using the built in Web Server. Transmits reports via email, ftp or Web Service client. CC a secondary email recipient. Open Protocols XML, HTTP, SMTP, SNTP, FTP, DHCP, DNS, Web Service. Compact size 3.0" X 3.25" X 1.25". Comes with a 110~240 VAC to 9VDC power supply. Safe log-in to the Web Server via password authentication. Secure data storage in non volatile memory with Lithium Ion Battery backup. Lithium Ion Battery backup for storing data during power outages. Recharging of Lithium Ion battery occurs automatically. High measurement rate of up to 90 pulses per second. Compatible with any network using DHCP or static IP Addressing. Uses SNTP for highly accurate time stamping. Day Time client integrated if SNTP server is not accessible. Logging interval from 1 minute to 60 minutes. Reporting interval from 1 minute to hourly, daily, or weekly. 16 character alpha numeric ID. 20 character alpha numeric Serial Number. 80 character Location / Address. Time Stamps can be in USA or European format. Uses existing network and eliminates costly telephone lines. Acquire Remote meter / sensor / transducer readings. Use with any device that provides a dry contact pulse output (also known as a KYZ output). Multiple channels to measure different sources. Fast reporting of load profile data - every 1 minute if necessary. Can simultaneously report via email, ftp and web service. Interval data will help understand and improve consumption patterns. Leverage the benefits of accurate real time energy usage. Your Local Utility may provide a pulse output from their meter - possibly lowering costs of installing a second electric meter. All our products have a built-in web server that can easily be accessed via MS Internet Explorer web browser. Majority of the data is encapsulated in XML so that it can easily be extracted and processed. However, many users are not software developers and require supporting applications that can acquire the energy usage data and display the information. Our Enterprise Energy Tracking Analytics Web portal (Click here for more details on ETA) provides significant reporting and management capabilities. ETA is an enterprise level energy management software cloud based web portal that automatically collects and manages valuable energy data and then translates the data into useful and actionable insights to the customers. ETAâ€™s cloud-based robust data capture and analysis help users gain control over their energy costs via variety of interactive and automated energy analytics tools that are delivered via a convenient and easy to use web browser. ETA manages large volumes of historical data from meters. It presents current data up to the last granular interval, hourly, daily, and monthly or yearly as well as historical data both in tabular and graphical form providing greater visibility and control of energy consumption.